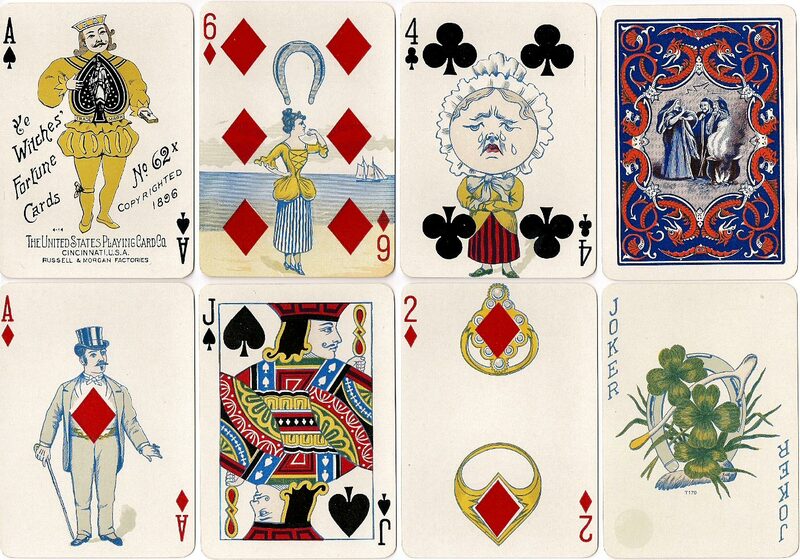 This late nineteenth century fortune-telling deck has illustrated pip cards suggesting their divinatory meanings. 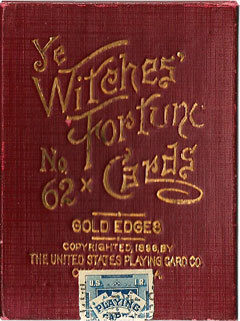 In some instances the pips are actually part of the design, which makes “Ye Witches” a partial Transformation Fortune-Telling deck. 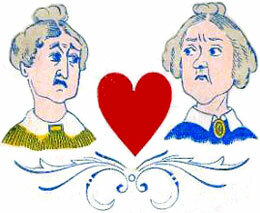 Some of the period dresses in the illustrations are interesting. 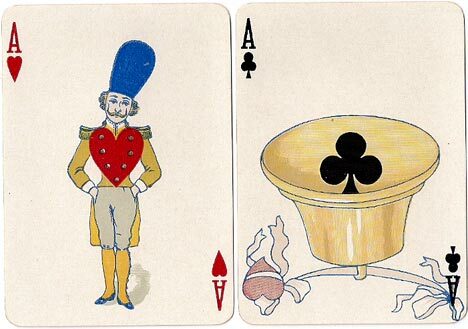 An accompanying booklet contains the rules for interpreting the cards and how to use the deck in more detail. The court cards are standard except that their hair is filled in black. The Joker has an image of a horseshoe, rabbit's foot, three four leaf clovers and a broken wishbone. 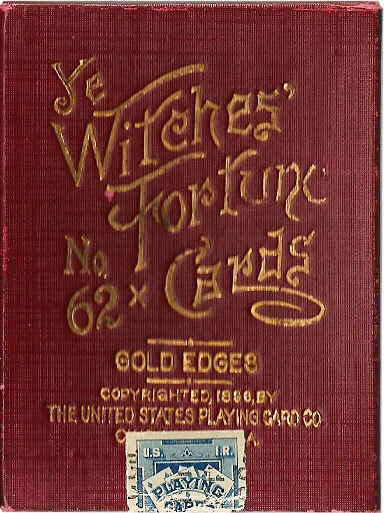 Above: Ye Witches Fortune Telling Cards published by the United States Playing Card Co., 1896. 52 cards + Joker + extra card in box. Available with plain or gold edges and a variety of different back colours. The back shows a coven of witches with a steaming cauldron, surrounded by interlacing dragons and bats. The divinatory interpretations are not printed on the cards, so it was necessary to memorise them, or to improvise. The illustrations are suggestive enough so as to give a hint as to the meaning.